Fennel doesn't seem to get a lot of love, but it should! It is quite nutritious. Fennel has a very slight anise or licorice taste that can really perk up your soups, stews or fish. It is an excellent source of vitamin C and a very good source of fiber. 1 cup of sliced fennel has about 27 calories, 3.64 grams of net carbs, approx.1 gram of protein and about 2.7 g. of fiber (about 10% of your daily value in 1 cup). All three parts of the fennel can be used. The bulb can be roasted, sauteed, stewed, braised, grilled, or even sliced thin and eaten raw in salads. 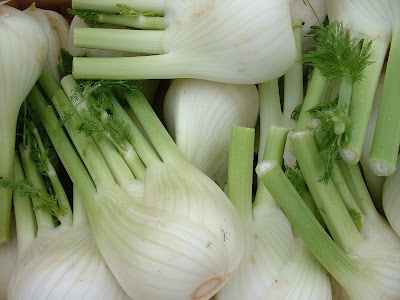 The stalks of the fennel can be diced like celery and used in food prepared with a long cooking time like soups or stews. The soft leaves on the stalks can be used as a seasoning. They are a good substitute for dill or are nice for seasoning fish or broth. (1) Remove the stalks and bottom and quarter the fennel bulb. (2) Drizzling with olive oil, salt and pepper. 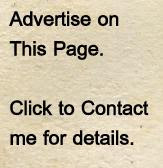 (3) Cook it at 350 degrees for approximately 45 minutes or until it is tender and the edges are crisp. Turn the fennel wedges in the pan a few times during cooking.